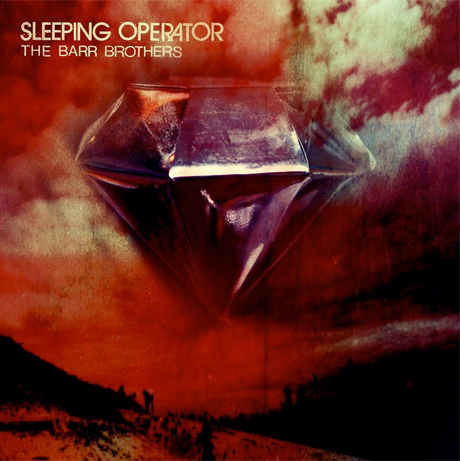 The Barr Brothers "Even the Darkness Has Arms"
A few weeks on from the announcement of the Barr Brothers' sophomore LP, Sleeping Operator, the Montreal folk crew have let loose a finger-picking first single, "Even the Darkness Has Arms." A liquid trickle of acoustic guitar plucks are the veritable backbone of the track, while Brad Barr's smooth and shushed baritone describes a quixotic time drifting around while other raise hell about "the water and the windmill." The tale also dishes on singing Cat Stevens songs and a drive to "make things right by you" as rustic touches of contrabass, ukulele and a pump organ flood the speakers. You can drink it all in down below. As previously reported, you can dial up the rest of the self-produced Sleeping Operator October 7 via Secret City Records.